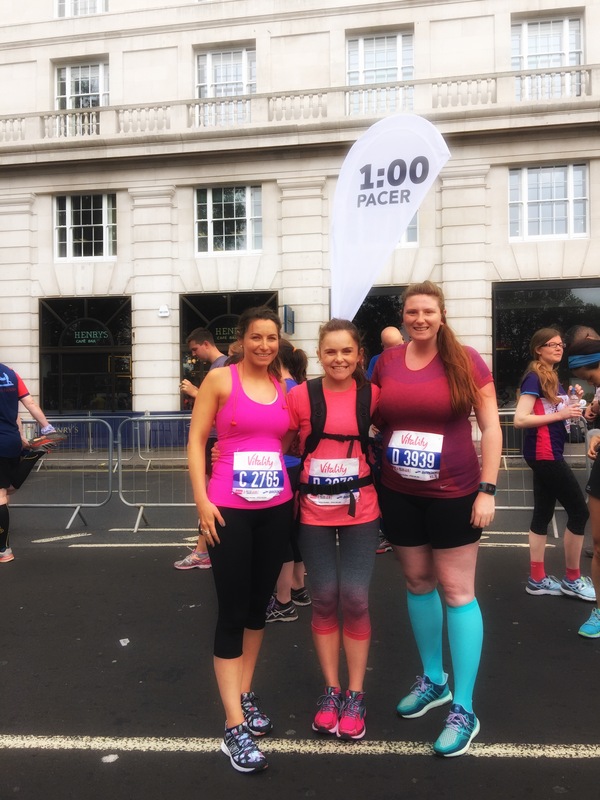 Last time I ran a 10km race was the West Run London in November 2015 so I was intrigued to see how I had progressed over the eight months. The time difference between the two was considerable, 12 minutes, but in the wrong direction; slower. I’m disappointed to say the least but I think I’ve been running long enough now to be at peace with the fact that some days runs just don’t go to plan. Unfortunately, this can often be on race day. Just last Saturday I comfortably ran 10km in under an hour. In the week leading up to the race I had a tooth infection and having been prescribed anti-biotics was told to rest to give my body the best chance to recover. I ran a total of 2 miles all week, just to shake my legs out the day before. I was also dosed up on strong pain killers most of the week and no doubt there might have been a build up in my system. I’m not trying to find excuses for my poor performance rather potential explanations given my recent training runs. Despite my time and the weather conditions, overall I thought it was a fun race. I also had the opportunity to test out my new 2XU compression socks and Panasonic Wings headphones, both which were super comfortable and functional. I started the day meeting up with Sasha, who was a 1hr pacer and Charlie, who was running having been at a wedding the night before. I was never intending on going hard for a PB but thought I’d stick with Sasha and comfortably get round a smidgen under the hour mark. We set off and there was a good atmosphere, lots of familiar faces in the crowd and I intended to have a sociable fun race. By 2km in I was not happy. It was so humid that I was sweltering and breathing in warm air which isn’t pleasant. The sprinklers pumping out a heavenly cold mist were delightful to run through at various points in the course. My legs felt like concrete and just weren’t co-operating. I dropped back from Sasha at that point and felt rather disappointed in myself because I knew there wasn’t going to be a surge of energy allowing me to catch back up. Charlie stopped for the toilet and I plodded on. She soon caught up with me, whilst walking up a hill, grabbed my arm and got me running again but the legs were not planning on going any where fast. I decided at the 5km point that I was just going to try and enjoy the rest of the route and soak up the atmosphere. This allowed me to take some snaps here and there whilst running on the traffic free route. Westminster Bridge is normally a nightmare to navigate what with the traffic and tourists. I felt quite empowered running along the Embankment, a stretch I hope one day to complete as part of the London Marathon. 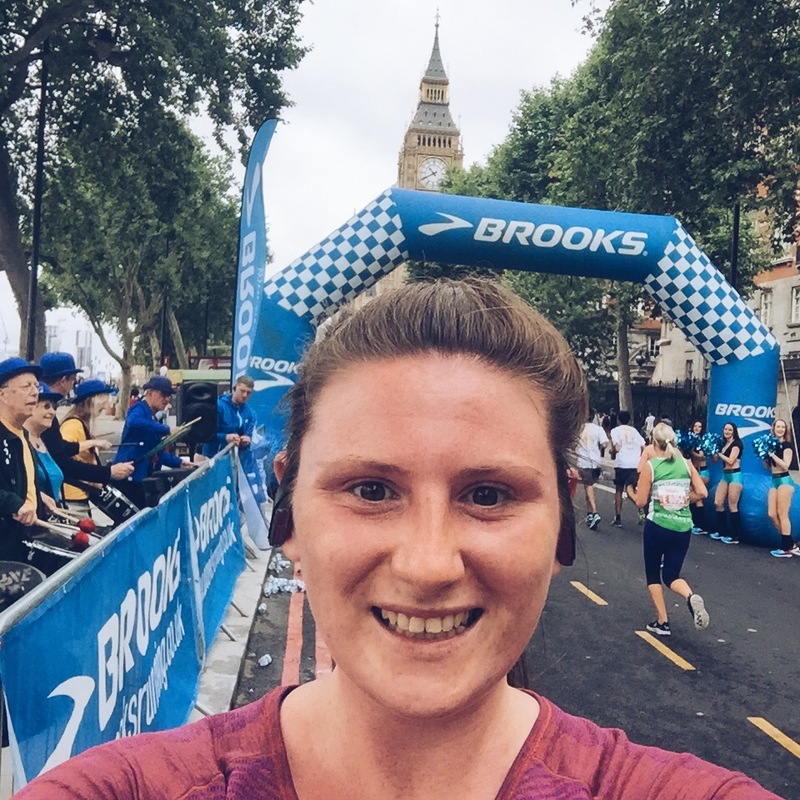 There’s no time for selfies when you are gunning for a PB so I made use of the opportunity and embraced Brook’s run happy motto. There were a times on the course where you looped back on yourself and so could see runners heading in the opposite direction, normally I dislike this but these sections weren’t long and so you soon were heading in the opposite direction and it meant you got to take in more sites of London, like running towards both the London Eye and Houses of Parliament across Westminster bridge and back. Overall I think the race was well organised, the course route took in a good portion of what Central London has to offer and the atmosphere was fun. Pleased to have experienced the British 10k and add another shiny bit of bling to the ever growing collection. I might keep this one by my bed in case of intruders, it’s a big ‘un! 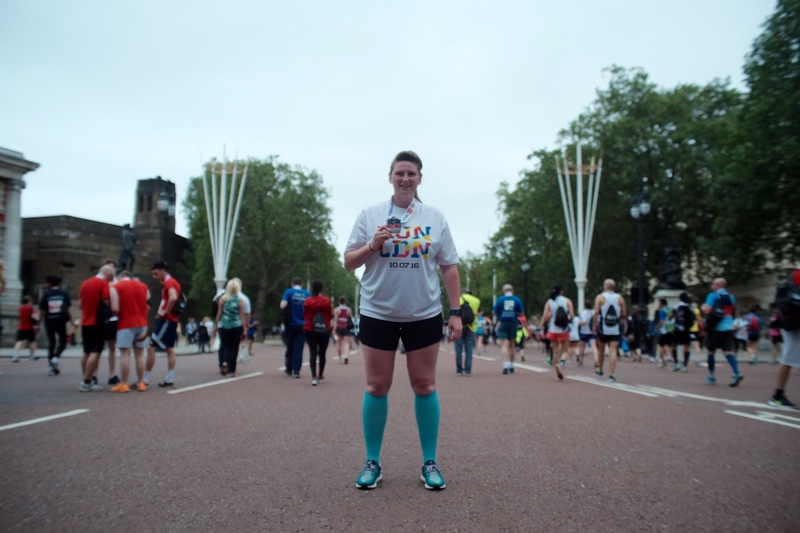 It is a little pricey at £50, I was lucky to have been offered a place but sports capped water bottles and a finishers t-shirt in the mix, it’s worth it for the whole race package. 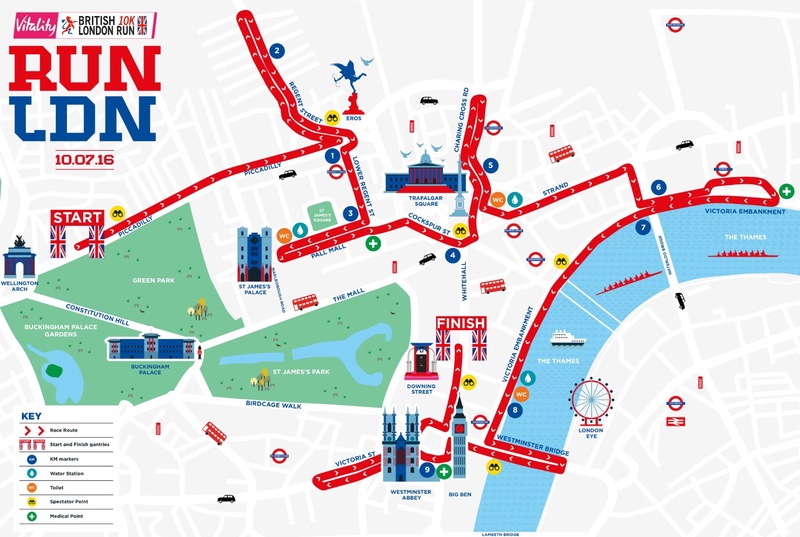 Would be a nice excuse for a weekend in London for any non London runners. The only thing I can fault was the weather and my legs which is a pretty strong recommendation. 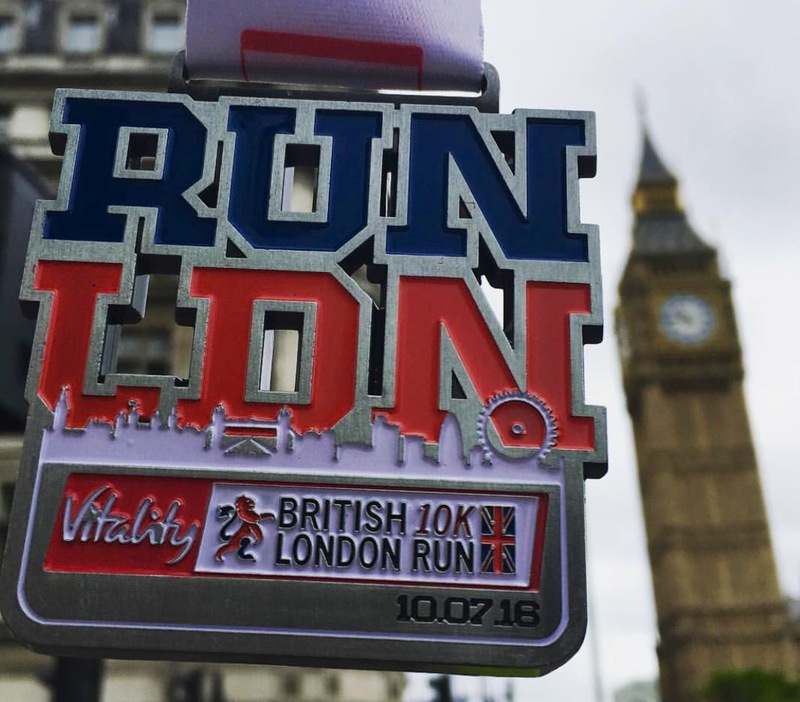 If you are thinking of running the British 10k or any other Vitality races, feel free to ask any questions. 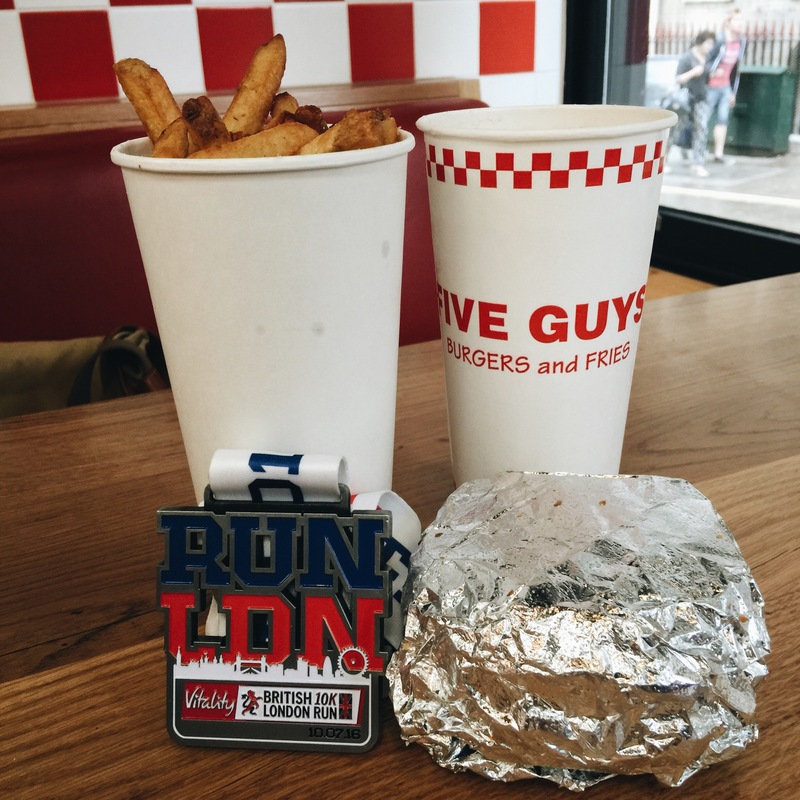 There was of course the obligatory post-run lunch. If you haven’t tried Five Guys you are missing a trick, think American Burger King. Well done! 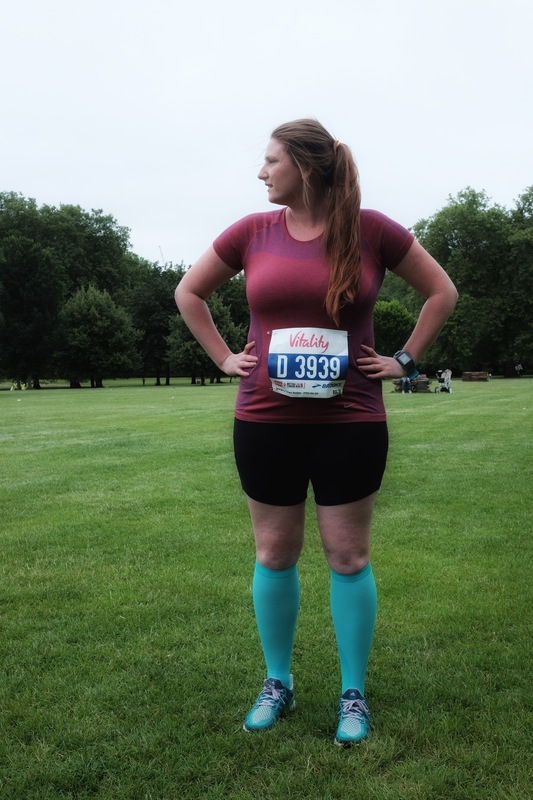 British 10k is a great race. I did it when it was 3 years old and although pretty new it is a very well organised race. Don’t beat yourself on the time. This happens to me so often when I set myself a target or have high expectations from a race and things don’t go to the plan. Our body has a mind of its own. :-). So you did well letting it go and enjoying the atmosphere. The next race you will rock! Love following your journey.